23.05.2018 - Targer Engineering & Consulting company officially launched Targer Leadership Excellence Program, with the first module which was held on 18 and 19 May in Sarajevo. 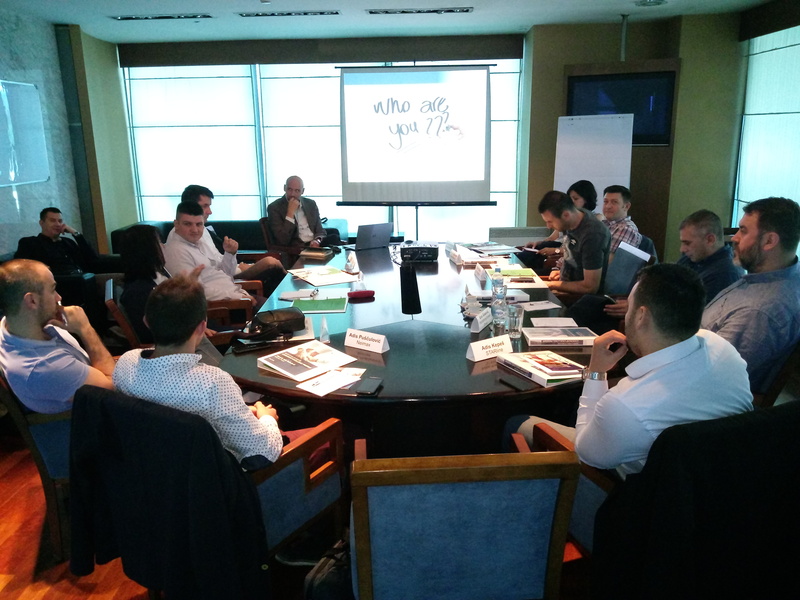 The first generation of our Leadership program gathers 14 participants: owners, CEOs and professional managers of six significant medium and big companies from Bosnia and Herzegovina. According to the first participants and lecturers’ impressions, Leadership Excellence Program has the potential to become very significant address for development of business skills and exchange of experiences about the problems which hit domestic companies, their owners and managements in BiH. Targer Leadership Program is consisted of ten trainings from the fields of management and leadership, improvement of processes, supply chain management and HR management, which cover all functional areas and set of skills needed for management over companies and implementation of the decisions which lead the companies towards more quality relations and more efficient processes. The Program is result of Targer consultants’ estimation regarding the needs of companies in BiH and in the region regarding education and development of employees. Consultants engaged on project implementation are: Alan Lisica, Tarik Kadrispahic, Jasmin Valjevac, Hadis Bajric, Damir Hotic, Damir Delic Djuljic, Anela Kukuljac, Zoran Djurdjevic, Kasim Tatic and Ramo Palalic, prominent experts in aforementioned functional areas. Besides them, guests from business will also work with the participants, in several modules. said Managing Director of Targer E&C Tarik Kadrispahic. The second module, dedicated to the skills of teamwork, hints for success in the perspective of joint work and collaboration, will be held on 22 and 23 June 2018 in Sarajevo.